Seville Golf & Country Club Gilbert, AZ. 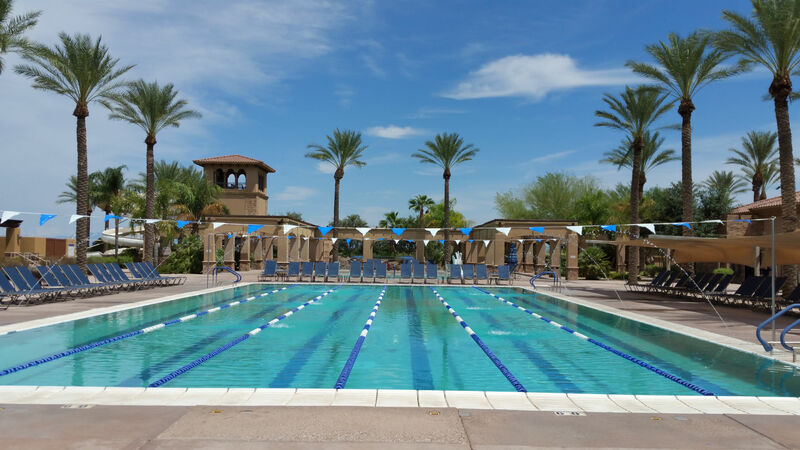 If you’re looking for a place in the sun and your piece of the American Dream – there’s a community right here in Gilbert, Arizona that you need to experience – and it’s called Seville! Just like a world class resort, Seville Golf & Country Club emanates a peaceful life of relaxation, entertainment, sophistication, and recreation. This highly sought after golf community is one of a kind and it shows off some of Gilbert's finest real estate. Seville, Arizona isn’t just another “pretty suburb somewhere around Phoenix,” it’s a destination for the kind of people who know and appreciate what pride of place means, and want to live where happiness and family is what it’s all about. If you’ve been looking for a home for your heart, a home where your family can thrive, this is where “It’s a Wonderful Life” begins. Seville, Arizona. Why is Seville So Special? Just what makes Seville so special? Other towns may be in the news – but how many of them have made the headlines because it’s “the friendliest place in Arizona?” In the last 25 years, Gilbert has been one of the fastest growing towns in the country – for all the right reasons! 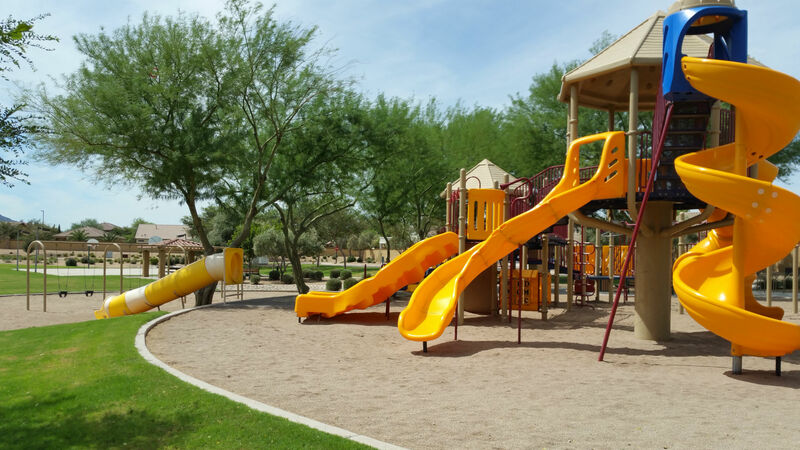 When Business Week says “It’s one of the best places in Arizona to raise your kids,” and CNN Money rates as one of the top 30 places in the country to live – it’s clear that this is a not just a great place to call home, it’s a lifestyle destination! Gilbert is one of those rare places that has that “small town” feel with a big city’s appeal. You get warmth and neighborliness coupled with sophistication and culture. “Charm” can be an overused buzzword, but in Gilbert and the community of Seville - it’s the right one. Where else can you find two beautiful live theaters, a museum, – and a baseball field? What small town has cutting-edge galleries, weekly art walks – and “Rodeo Days?”? Seville and Gilbert offer multi-faceted past-times for every member of every family.....Read more here. Seville is a masterfully planned community where homes are beautifully designed at every price point. It has the kind of upscale amenities and attention to detail that matter to people who appreciate both comfort and style. No matter what your budget is, you’ll be amazed at the craftsmanship your housing dollar will buy in Seville! Not only that – in Seville you’ll discover just what the advantages of living in a “planned community” entail. When Seville was developed, careful consideration went into analyzing what people and families need and want from their home and a community. Where do they work, what kind of drive do they want? Where do they want to shop? What about schools? What about parks and recreational facilities? These are the important questions that the developers asked when Seville was laid out – and careful thought and attention was given to putting together a community that would answer those needs and provide a cultural living experience where a family could thrive. So when you look at a home in Seville – and you consider the list of amazing “amenities” that come with that home – remember they weren’t just an afterthought. Every feature was and is a conscientiously planned component that’s designed to enhance a family’s life – your life. What it all adds up to is that Seville offers you more than you ever though you could find – or afford! So – just what are Seville’s amenities? One of the goals that went into developing Seville was – how do we combine upscale family homes with the “feel” of a resort – at a friendly and affordable price point? And Seville’s answer is this: Put in 7 large, unique, and beautiful community parks and add 3 volleyball courts and 3 basketball courts– and make them usable during the day or at night. Build a country club that includes a championship style golf course and resort like amenities such as– activities, classes, pools, fitness center, child care, salon, spa, tennis, meeting rooms, and more for the entire family – young and old. Give the residents a variety of membership options to meet their needs and desires. 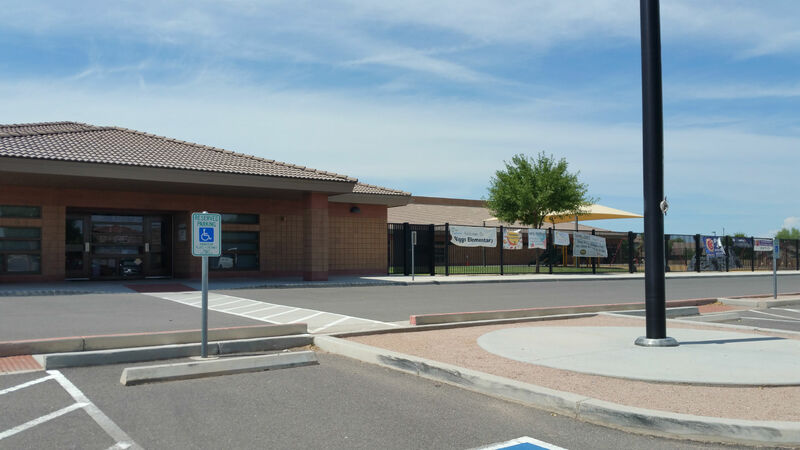 Put in a top rated school, right within the community walls- (Riggs Elementary-and A rated school) and add miles of walking, running, and biking trails. Line the streets with the aroma of orange tree blossoms where residents can have seasonal access to freshly grown oranges. Provide lush and colorful landscape scenery throughout the Seville community and have it professionally maintained throughout the year. And what about shopping, or family outings – like movies, sports teams, and sporting events? Seville has it all! We have shopping, shopping, shopping – and more fabulous shopping! A prime masterfully planned downtown district with history and the symbolic center of Gilbert. Seville is just a short 15 minute drive to the wonderful amenities that the Heritage District has to offer. With the revitalization of this part of Gilbert, it makes the real estate market in Gilbert even more desirable. 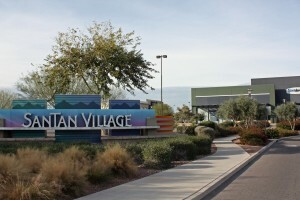 There is a variety of restaurants, shopping, and activities for Gilbert residents to enjoy. If you enjoy history and a good meal, then you must visit this historical part of Gilbert. There are more than 100 brand-name stores and restaurants in this uniquely designed “open air market-place.” When it was planned, the architects and engineers were “thinking big” – and it’s on the map as Arizona’s first “super-regional shopping center.” Combining an indoor food park, a children’s outdoor jet water fountain, and the finest in department and specialty stores, San Tan Village offers virtually anything and everything you’ll find in any New York, California, or Phoenix shopping mall. See store lists here. Along with the outdoor mall you can find Wal-mart, Costco, Winco, Sam's Club, and a lot more national brand shopping centers and restaurants. Check out the directory of shops here. Grocery shopping and fast food restaurants are all around, the closest shopping is Fry's Food and Market Place which is just across the street from Seville Golf & Country Club. Bashas', Albertsons, and Safeway are all within 5 minutes of Seville. From adults to juniors, Seville offers great tennis options for all it's members. Some of the tennis offerings are: Biginner/intermedieat Women's Doubles Clinic, College-style doubles clinic, Live ball, Tennis lessons, and even racquet re-stringing. Seville tennis also offers a variety of leagues from tennis socials to USTA team tennis. 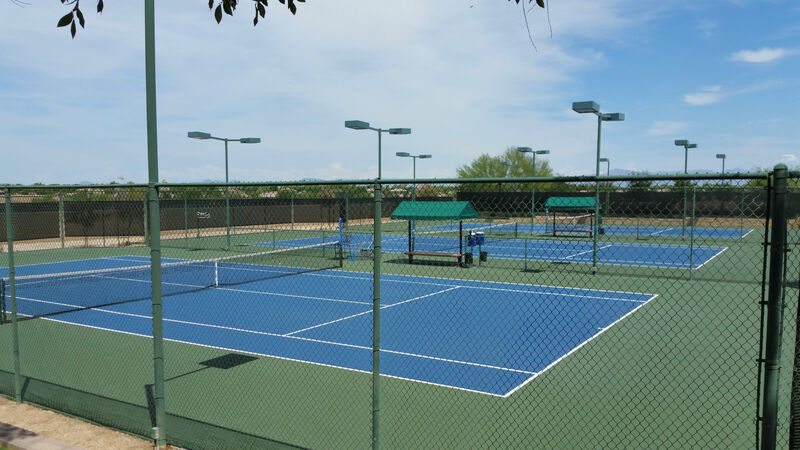 Seville offers some of the most well maintained tennis courts in Gilbert. Come check them out. With a pleasant old world design and rustic design features, you will enjoy dining in the Bolero's Restaurant. Bolero's offers fine dining that everyone in the family will enjoy. The food many is delicious and will have you coming back for more. For a more quick or laid back meal and drinks, Tapas will hit the spot. You'll never go hungry after a long day on the course or if your just out on a date with that special someone when your at Seville Golf & Country Club. 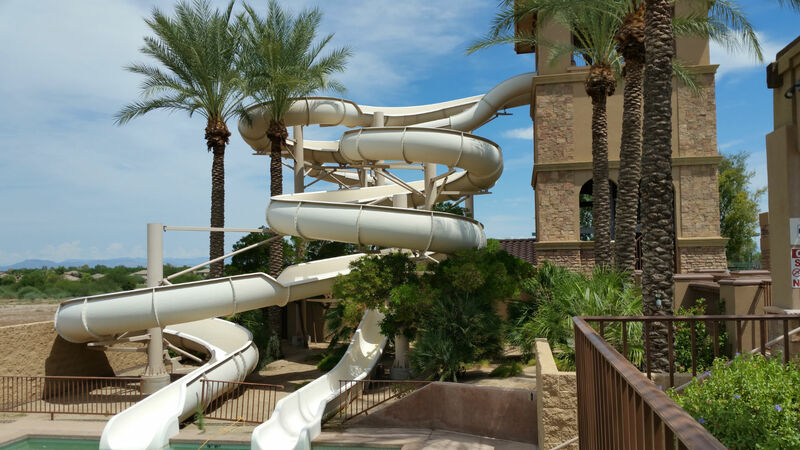 Seville Golf & Country Club is home to a resort like water park where adults and kids alike will enjoy every second they spend in the pools or under the Cabanas. Seville's Water Park has more than 250,000 gallons of water supplying it's pools, splash pad, and water slides. From a lagoon pool to a negative edge lap pool, Seville's water park will surely not disappoint. Take advantage of the Cabanas, Terraces, swim lessons, and programs that are offered at Seville. Did you know that Seville Golf & Country Club offers a separate social membership? Contact us for more information. Come see why Seville Golf & Country Club has some of the best housing and real estate around. Selling your Seville home? Get your home value instantly below.